Hey, did you hear? The Eagles won the Super Bowl. The Philadelphia Eagles officially have their calendars marked for the 2018-19 season. Every other team in the league will have those dates circled for a chance to take down the defending Super Bowl champions. Last season has already been immortalized in Philadelphia lore, but before turning the page, the Eagles on Thursday released a free documentary, "All We Got. All We Need: 2017 Eagles Season," that takes fans behind the scenes of the last year's historic run. At nearly 46 minutes, the video is packed with insightful interviews with team leaders and coaches, including exclusive locker room footage from nearly every game in the regular season and playoffs. 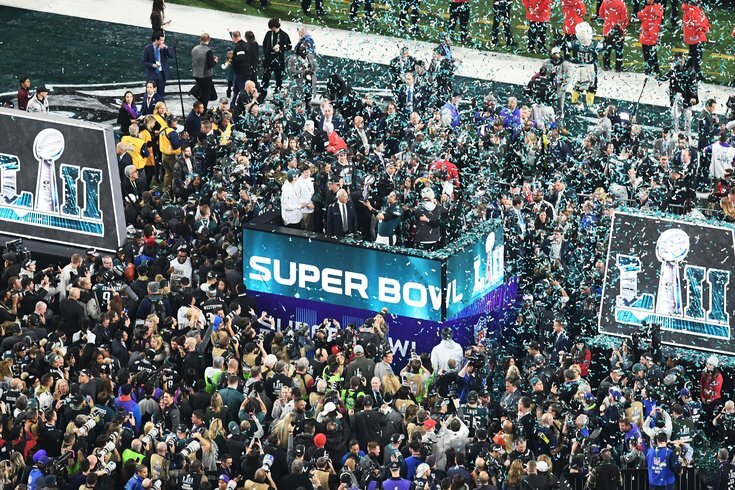 Credit the Eagles for putting together a free documentary for all the fans who turned out in droves to the team's parade in February after spending the previous months glued to their TVs for every game. Above all, the documentary really does an inspiring job of showing how the Eagles coalesced over the course of the season, battled adversity and triumphed on the biggest stage in professional sports.